If you're a student, then you're surely aware of the importance that notes can have in your academic career. This is because, it is through them that you refresh your knowledge in order to study for your exams. This means that if you don't have good notes, your ability to study successfully and to perform well on your tests, can be seriously affected. 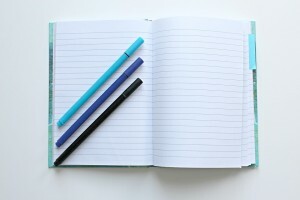 To learn how you can improve your note-taking skills, continue reading the post below. First and foremost, if you want to take notes that will help you study, you need to make sure that the platform you have them on is cleaned and organized. For that reason, you should have one notebook for each of your school subjects, so you don't get them mixed up. Furthermore, you should avoid doodling and scribbling all over them, as these can distract you when you're studying. When you're taking notes, you need to save time whenever you can to avoid falling behind. To that end, you can keep your writing tools (such as your pencils, pens, erasers, and other supplies) within arm's reach, so you can grab them quickly as you're taking notes. Continuing with the idea that you need to save yourself some time as you're writing notes, you should develop a strategy that will help you be more efficient. For example, you can use common abbreviations instead of writing complete words. You can also write down main ideas instead of noting every word your teacher utters. While you should be quick to write your notes down, this doesn't mean that you should disregard your penmanship or their clarity. On the contrary, you should pay special attention to this, so that your notes can actually help you study. That's why, you're required to care for your note's legibility. Dates, names, definitions, formula, and other similar information is often more important than the rest. If you want to ensure these key pieces won't get lost among your other notes, you should emphasize them. Use colored highlighters and sticky notes to make the important information more visible and accessible. As a last tip, if you want to guarantee that your notes will be good enough to help you study when the time for it comes around, you need to review what you wrote down. This means that, once you're done taking the notes, you need to read them over. If you find something isn't clear, ask a peer or your teacher to explain, so you can complete your notes effectively. If you require academic assistance to improve as a learner and reach your academic potential, enroll in one-to-one tutoring in Allen TX. Call The Tutoring Center, Allen TX at (214) 383-4000 for more information on the benefits of tutoring, to learn about their academic programs, or to schedule a free diagnostic assessment.